WhatsApp recently added a latest feature for his users. During chatting WhatsApp allows to know whether the person on the receiver has read your message or not. You can see the exact time your WhatsApp message read or not by the receiver. WhatsApp is very popular instant messaging tool around the world. When you send any message to someone via WhatsApp, you can check your message read by the receiver or not via blue ticks. Now, if you have updated version of WhatsApp then you can also check exact time at which your WhatsApp message was read. WhatsApp is an instant messaging tool and first choice for lot of WhatsApp users in worldwide. There are billion of WhatsApp users around the world. There are many hidden WhatsApp tricks which are very useful for us. But lot of person don’t use them due to not awareness of these hidden features. There are many important secret WhatsApp ticks you should try at your smartphones. WhatsApp allows you to delete sent messages, turn on or off blue ticks, edit pictures or text, track your friend location, format text and many more. 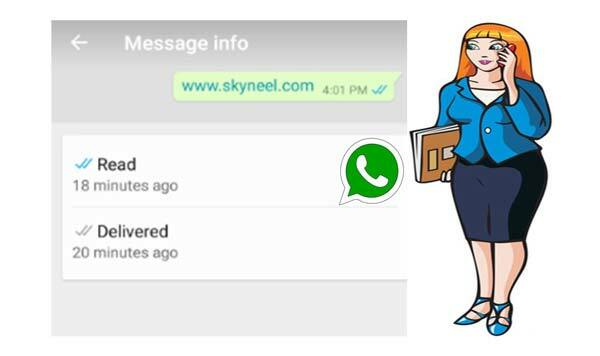 In this guide we have to discuss few simple steps which helps you to know the exact time when your WhatsApp message was read. In this guide you can easily check time for exactly when someone read your WhatsApp message at your Smartphone. Step 1: Open your WhatsApp at your smartphone and send a message to any WhatsApp user. Step 2: Long press sending message then tap on the three dot vertical buttons. Given vertical button placed at top right corner of your WhatsApp window. Step 3: Tap on the “info” option. Here you can check day and time when your message delivered to sender along with read by the sender at his WhatsApp account. Normally we can send plain text message with other persons. Now, WhatsApp rolled out formatting feature, which allows you to apply boldface, italicised and strikethrough feature on plain text. 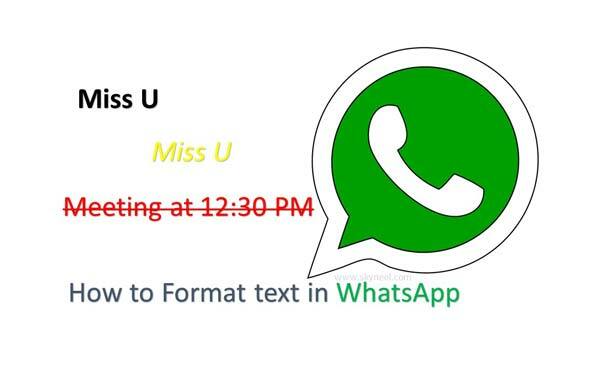 If you have latest version of WhatsApp then you can easily apply formatting during sending text on WhatsApp. It’s another important WhatsApp trick for his users. You can read full detail regarding this matter in Format text in WhatsApp article. 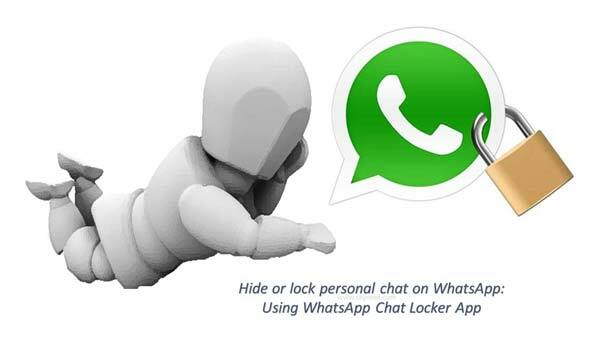 There are lot of person want to hide or lock personal chat on WhatsApp. This feature in not provided by the WhatsApp at your device. Now, you can use third party app which allows you to quickly hide or lock personal chat on WhatsApp. You can easily protect your private WhatsApp conversations with your friends, family members and others. After apply the password detail nobody can check your personal WhatsApp chat conversion. You must have to fill the password to unlock Whats chat conversion. 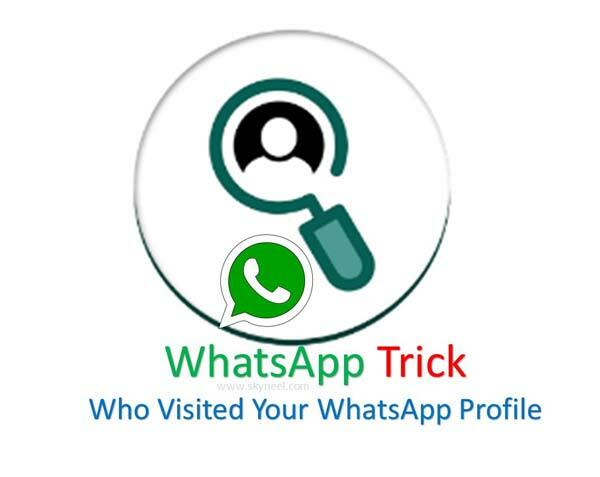 Given WhatsApp trick allows you to quickly hide or lock personal chat on WhatsApp. There are lot of visitor who check your WhatsApp profile on his smartphone. But we don’t know who viewed your profile on WhatsApp account. If you feel, someone checking your profile on WhatsApp but you don’t know about them. Now, given guide allows you to know who viewed my WhatsApp profile.